Critically much maligned film made a chunk of money and split audiences. 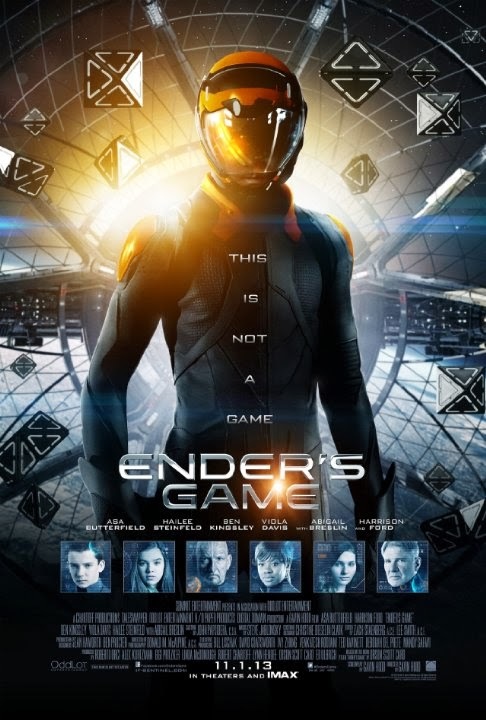 The film is based upon the classic novel by Orson Scott Card, as well as Ender's Shadow which tells a parallel story. The film is a long time in coming with many attempts to get the film made over the last 30 years. 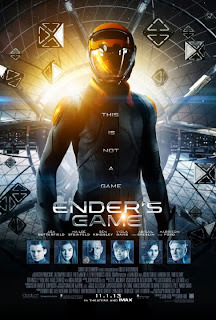 The film concerns Ender Wiggins a young boy drawn into the military some 50 years after the earth was invaded by an alien force. In order to prevent it from ever happening again the smartest children were taken and trained to become super commanders for the military. We watch as Ender goes through the his training until he ultimately has to face the enemy in battle. Going from juvenile to nicely complex this is not your fathers space opera. This is the story of how a young boy goes from "fun and games" into war. The film is a serious meditation of how the act war changes us. How you react to the film is going to depend on the complex and distancing main character. A weird collection of highly intelligent tics Asa Butterfield manages to make Ender both a child and a cold thinking machine. He is not some one you easily warm up to, but if you allow the film to do what it wants to do, some how you do. You feel his pain at trying to remain safe and yet achieve the impossible. I was very mixed on the film at the start. The film felt too simplistic, but by the time the film ended I was really impressed with the complexity and the darkness. I liked that the film was ballsy enough to go there. I think its that darkness that annoyed the critics who didn't expect such darkness from a Hollywood "entertainment". As for the ending which many despised...this is based on the first of a multi-volume novel series, even allowing for the Hollywood desire for the possibility of a sequel, this story really never ended at the end of the novel. Do yourself a favor, see this film. Its a super piece of intelligent science fiction and damn great film.